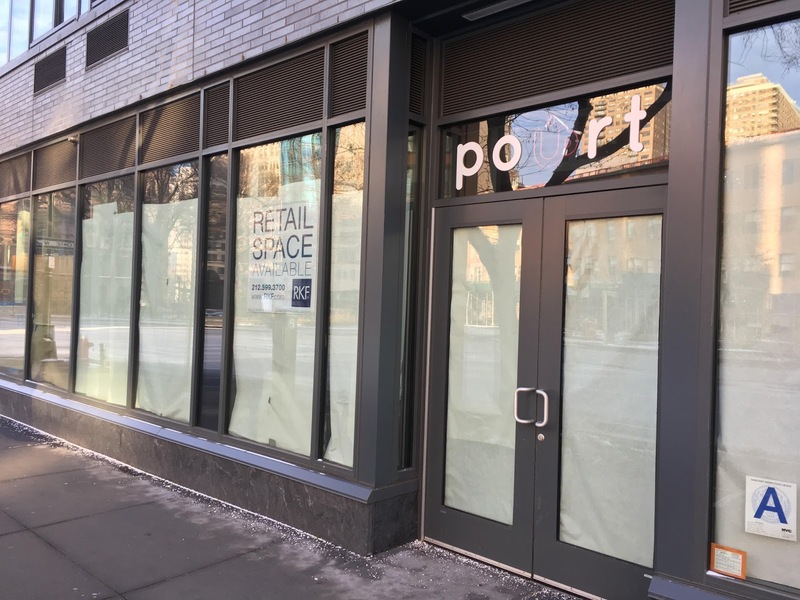 Pourt, the cafe-work space at 35 Cooper Square, closed at the end of November after 11 months in business. The for lease sign is now up in the window here in the base of the Marymount Manhattan College dormitory at Sixth Street. ... though the listing isn't online just yet at the RKF website. The eventual new tenant will have a dessert shop as a neighbor. Meet Fresh, a Taiwan-based chain, will be opening soon next door. * I hereby testify under penalty of perjury that I have absolutely no connection to the beforementioned enterprise. This would be a good location for a bookstore. Student housing right there, plus Cooper Union. Art supplies would be good as well. I miss the old Astor Place B&N and East Village Books. I also miss the bookstores. But today customers - if you can call them that - check out the books then buy them for a discount online. Bookstores gone. Amazon rich. What about a Soup Bar ?.